I have always thought that asking what an author meant and how an author writes outside a given work are different questions from asking what an author has actually written and how the author writes in a specific work. I am not here referring to the obvious matter of intentionality. 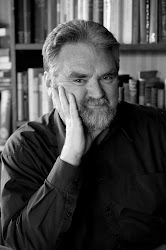 As I’ve remarked before, interviews with authors (such as happen in newspaper columns or at reader-writer festivals) tell us virtually nothing about what the writer has achieved – only what the writer intended to achieve, and that is quite a different matter. What I am referring to is the way critics sometimes attempt to solve controversies about a work of literature by comparing that work with others by the same author, to see if they can explain what given words mean in the work under review. This can function as a form of evasion – that is, not seeing the work as a thing in its own right, but only as a comparative in the continuum of the author’s whole oeuvre. I’m taking as my example of this phenomenon the Ulysses of Alfred Tennyson (1809-92), written in 1833 and first published in 1842 – that is, written when the poet was still a beardless young man of 24, and not yet the sombrero-ed, bearded, respectable Victorian poetic sage familiar in photographs. I could go all biographical at this point, and note that Ulysses is therefore a young man’s poem about an old man – but that would be to divert me from my purpose of looking at the words on the page. Here’s the problem. Ulysses is a very fine poem, eminently quotable and cohering as a whole. We are long past the days when Modernists dismissed Tennyson as “Alfred Lawn-Tennis-on” (thank you, James Joyce) and saw him as a fusty back number. Tennyson has regained his prestige as a great poet worthy of close critical scrutiny. Ulysses is universally recognised as a great poem. But there is still a controversy about what Ulysses actually means. simple affirmation of heroic virtues. 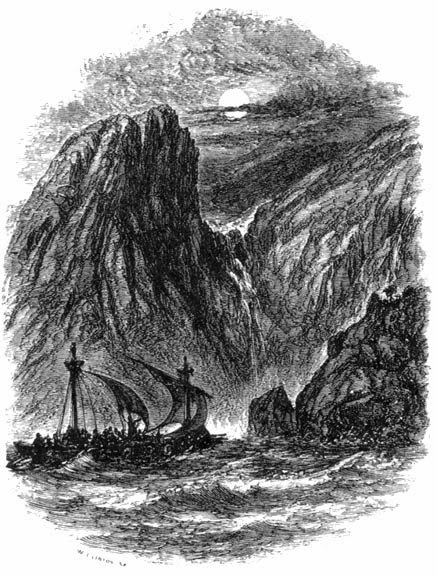 Old Ulysses is the heroic wanderer who is going to leave Ithaca in the safe hands of his son and go off on more fruitful voyages of exploration and discovery. In the days of Britain’s empire-building, the poem was taken as inspirational and, isolated on its own, the last line, “To strive, to seek, to find, and not to yield”, was used as the motto for public schools or the epitaph of polar explorers. In short, the poem’s speaker, Ulysses, was taken entirely at his own estimation. But then along came a new generation of critics who, while recognising Tennyson’s greatness, urged us to read the poem as a work of irony. After all, Ulysses is the narrator. He is not the poet. The poem is a dramatic monologue, like those of Browning, and there is therefore an ironical distance between Ulysses, the character who is speaking, and Tennyson, the poet who has created this character. We cannot and should not take Ulysses at his own word and we cannot and should not take him as expressing the poet’s own views. I must admit I first came across this reading of the poem when I was still at school. I got it from a little book called Twelve Poems Considered (Methuen, London, 1963) by one L.E.W. Smith, in which he subjected twelve poems, including Ulysses, to a particularly close reading. His argument, which was a revelation to me at the time, was that Ulysses is meant to be seen as an egotistical, vain and irreponsible man, damned by his own words for his lack of fellow feeling with other human beings. This exegete made much of phrases (in the poem) such as ”roaming with a hungry heart”, which suggests somebody who wishes only to satisfy himself; and “drunk delight of battle”, which suggests somebody careless of the consequences even of lethal actions; and especially the oft-quoted “all experience is an arch wherethro' /Gleams that untravell'd world whose margin fades /For ever and forever when I move”, which suggests the ultimate futility of Ulysses’ quest anyway, given that it is centred on an insatiable ego. Further to this, it was argued, Ulysses’ declared attitude towards other human beings is patronising. The faithful Penelope is dismissed with the phrase “match’d with an aged wife”. The verse paragraph on his son Telemachus is not only dismissive but shows no human warmth by using formal terms such as “blameless”, like a schoolmaster’s report on a pupil. So Ulysses becomes a poem about the irresponsible man who cannot handle his real domestic and political duties, and who runs away to self-gratifying adventure. In short, even though Ulysses is old, it is a poem about somebody with the mind of an adolescent. Only subsequent to reading this account by L.E.W.Smith have I discovered that many others had made this case before him. Indeed, by the time Smith was writing, it had become the critical orthodoxy. Tennyson was saved from being an imperialist drum-beater by being canonised as a master ironist. And now, of course, the wheel has turned again, with critics who claim that this is all being too clever by half (as most academic criticism is). 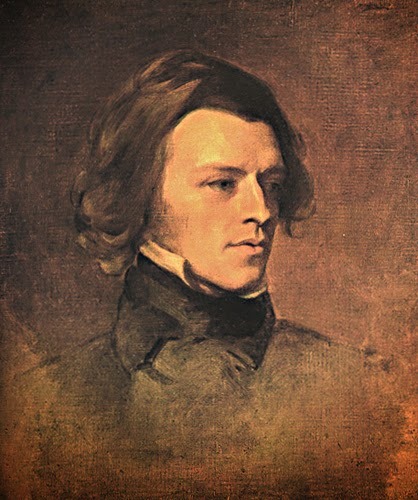 Replying to the first group of revisionists, they appeal to other works by Tennyson and point out that he frequently used words such as “blameless” in a fully approbatory sense, and that, writing as a young man, he fully endorsed the notion of heroic quest and the search for knowledge. So Ulysses really is the poet’s other self and the first person voice is not ironical. Note, of course, that this argument relies on looking at other works to interpret what this particular work is saying. Reading and re-reading the poem, I still cannot decide which view is more valid. I am primed to reject the heroic and (implicitly) imperialist quest. I think that “not to yield” is a very foolish strategy in life. There are times when one absolutely has to yield and to surrender one’s first objective. I value the domestic virtues and therefore think that family should not be set aside easily for self-gratification. So I would like to believe that an ironical reading of the poem is the correct one. But we once again hit our heads against that problem of intentionality. If Tennyson were alive in the age of the writers’ festival celebrity interview, it is quite possible that he would explain he simply intended a poem about the heroic spirit of the indefatigable adventurer. And I concede that the poem can be read that way. Could it be, then, that the poem is read ironically not because it is either intentionally or intrinsically ironical, but because history has rendered it ironical? We no longer endorse empire-building heroics. Therefore we interpret Ulysses’ ongoing quest as futile. Therefore we say the poem must be ironical. So we move into the realm of “reception analysis”, wherein what a poem says is what the reader understands it to say. My head begins to spin at this point. Let me now do what Ulysses suggests and “push off”. Here is the poem in its entirety. Read it for yourself and decide if it is an heroic quest, or the egotistical soliloquy of a superannuated adolescent.